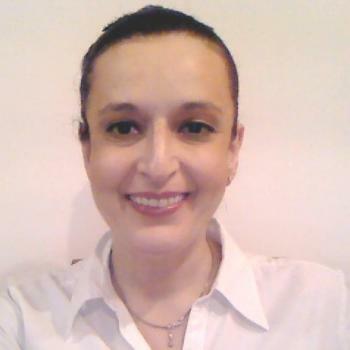 Hello!My name is Nada Radenkovic and I am an English language teacher from Serbia. I have been in this line of work for the past 8 years. I have worked with different age groups, different levels and I have used different teaching materials, methods and techniques for language teaching and learning. I have also worked with different types of schools: public, private and vocational and all of them have shaped me into a very good and professional teacher.Having said all this, I am free to say that I have a substantial experience in language teaching, meaning that I am more than prepared to help all my students overcome any problems, difficulties or obstacles they have during language learning. Also, I am sure I will be able to help my students improve their language skills and meet all their needs in the learning process. So, please feel free to contact me as soon as possible as it would be my honor and pleasure not only to teach you but to know you and your culture better. See you soon. 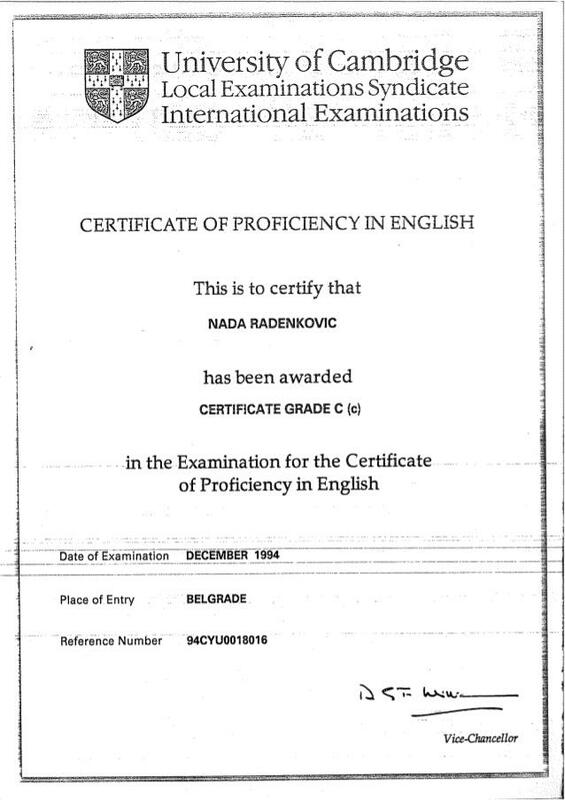 Nada Radenkovic graduated from the English Language Department in 1994 and since then she has been a teacher, meaning she has a substantial experience in the field. Besides her BA degree in the English Language and Literature, she passed her Cambridge of Proficiency Exam in 1994., which proves she has a very good command of all language skills. Throughout her career, she has worked with different age groups, different students' background, different levels. 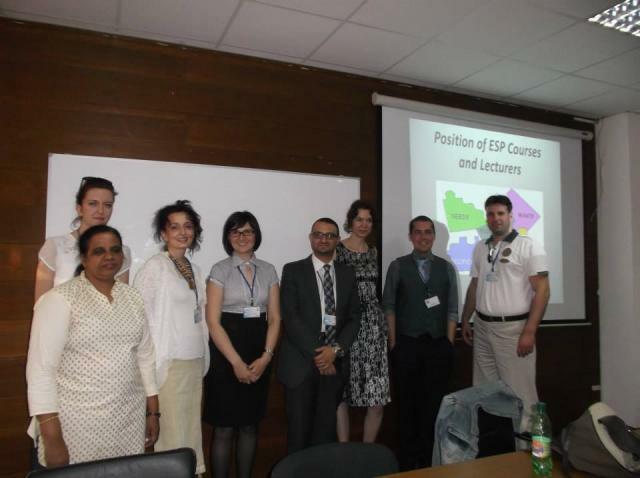 She has also used different methods and techniques in her work helping each student individually to improve his/her language skills. She has also worked with different schools: public, private and vocational which have helped her become a well-rounded and open minded teacher and person. She is responsible, hard working, reliable, trustworthy,and honorable. In her free time, she likes to read, watch movies, listen to music, cook, travel, meet new people and cultures. It would be her honor and pleasure to work with you. I had a great time with you today. Thank you for your advice and link which seems appropriate for me. I look forward to our next time and telling you about Japanese culture. She corrected all of my mistakes in the conversation. I really appreciated that! I t was very good way to notice my mistake, and it will help me to improve my English skill more. She is very excellent teacher!